Dana Farraj is Palestinian. She studied law in her country and did a four-month internship in Colombia with Equipo Jurídico Pueblos. Dana is part of the Palestinian movement known as PULSE (Palestinian people united for freedom, solidarity, and emancipation), which in turn is a component of a youth forum called Nabd. 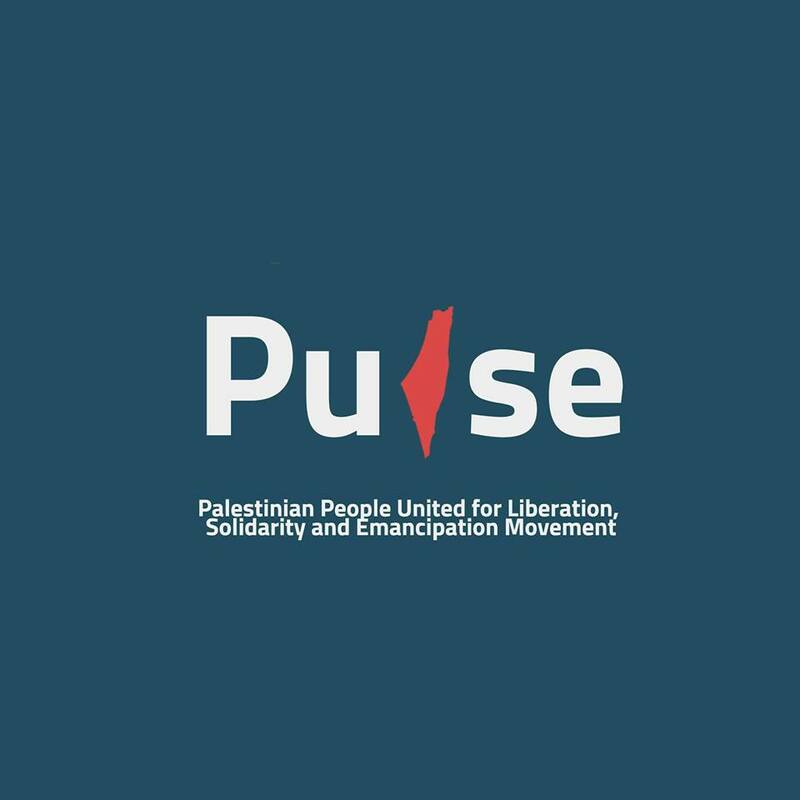 In the formal presentation of PULSE, “the need arises for convergent initiatives and movements that fight for freedom and justice against oppression, exploitation, and discrimination around the world. We believe that unity among all the world’s social and political movements will inevitably help protect and liberate human values, community justice, and cultural and political freedoms from neoliberal policies, imperial exploitation, oppression, and authoritarian and reactionary regimes.” Speaking from Palestine, Dana Farraj gave the following interview, which we consider extremely valuable from the standpoint of the internationalism that should characterize people’s processes everywhere. You were outside Palestine for several months. What was the situation in your country when you returned? I returned to Palestine last month after two and a half years elsewhere. To talk about the situation, we need to distinguish between two positions: the position of the Palestinian Authority on the one hand, and that of the Palestinian people on the other. The Palestinian Authority is still pursuing its security cooperation policy with the Israeli forces against the Palestinian people and its interests, and at the same time it is carrying on its liberal economic policy, so we can’t really say there’s been any change in the situation. As regards the Palestinian people, from my point of view, we are looking ahead to the moment when we will rise up, for we are not giving up the struggle. Maybe the Palestinian struggle looks disorganized and fragmented at this time; however, I can feel all the attempts by the youth to embark upon a new era of resistance, in particular to work towards a culture and a consciousness, a culture of voluntary community action. There is a lot of hope and a lot of work to be done. Israel’s repressive apparatus has stepped up its genocidal policy against your people. What has been the Palestinian people’s response? Israel has had a Zionist project since the very beginning, a genocidal policy against the Palestinian people and its identity. Israel’s project is not only against the Palestinians, but against the whole Arab region, and it is a component of an international policy of imperialism and exploitation of peoples’ resources. This policy is continuing in various ways. The culture of resilience, resistance, and defiance is still to be found in every Palestinian person. Israel’s policy is to destroy the houses of the families of martyrs and political prisoners. So the Palestinian mother whose children are in prison or have been assassinated by the Zionists resists when she says, “No problem, I will build another house,” after her house is demolished. This act of individual courage is augmented by forms of collective action when Palestinians get together and attempt to prevent the demolition of freedom fighters’ homes. Palestinians everywhere are struggling for their existence, to protect their identity. The Palestinians who live on the territory occupied by Israel in 1948, and the Palestinians in the Gaza Strip, have been marching every Friday for a year now to demand the return of their houses and to stop the siege on Gaza. The Palestinians in the West Bank and Jerusalem are using new forms of struggle, new initiatives. Palestinians in exile (half the Palestinian population) are continuing to work for the right of return. At this time, all Palestinians reject the “agreement of the century” proposed by the United States, an alleged “solution” to the Palestinian cause that nonetheless contains measures such as, for example, that the Palestinians expelled from their lands when the Israeli occupation came down in 1948 would not be allowed to return to them. What is the status of Palestinian political prisoners? Today, there are approximately 5440 political prisoners, according to the Prisoner and Human Rights Support Association (Addameer). Among them are 48 female prisoners, eight members of the Palestinian Legislative Council, 209 children, and 497 individuals saddled with the controversial status of administrative detainees. Solitary confinement and isolation are two measures imposed during the prison term of a detainee. Solitary confinement is used overtly in Israel as a disciplinary measure, and it is also common practice during interrogations, being regularly used immediately after a detention. Solitary confinement cells in the various Israeli jails are similar in size — typically 1.5 x 2 m to 3 x 3.5 m. Each cell generally has a window measuring around 50 x 100 cm, which in the majority of cases does not let in enough light or air from the outside. These cells include a toilet and a shower; prisoners usually hang a curtain to separate the toilet and shower area from the rest of the cell. The Israeli Prison Service has adopted a systematic policy of medical negligence against prisoners and detainees. Human rights organizations estimate that since the beginning of the Al-Aqsa Intifada, which ran from 2000 to 2008, 17 Palestinian prisoners have died in Israeli jails and detention centres due to medical negligence. The Israeli occupation forces arrested 509 Palestinians in the Israeli-occupied territories in January 2019 alone. Of these, 89 were children and eight were women. You got to know Colombia to some extent. What are some of the similarities between the occupation of the Palestinian territories by Israel and our realities? The construction of the settlements, isolating Palestinian areas from one another, and converting them into enclaves with the building of the annexation wall. The isolation and Judaicization of the city of Jerusalem, the confiscation of houses, and the displacement of Palestinians through indiscriminate assassinations and arrests of women, men, and children, as well as the daily attacks by colonists against our people and our agriculture. There are important similarities between the massacres perpetrated against the people with the goal of displacing them in both Colombia and Palestine since 1948. The Plan Colombia put forward by the United States as a vehicle for the implementation of neoliberal policies manifests itself as the proliferation of transboundary companies and the privatization of public services, particularly in the field of extractive industry. The problem, in this respect, resides not only in the principle of extraction of minerals and hydrocarbons, but also in the force and violence used when the interests of these companies are opposed to the people’s interests. This is why peasants and indigenous peoples are the first communities affected by these policies and why they are constantly threatened with assassination and expulsion. The economic development project implemented with the creation of the Palestinian Authority can only be described as a neoliberal economic project. It is a system that is incompatible with the Palestinian situation. It serves only the political elite and economic capital and is far removed from the working classes and the concept of social justice. Logically, it is impossible to talk about a free and independent Palestinian economy while it depends on the Zionist economy. This economic dependency is guaranteed by the Paris Protocol signed in 1994 within the framework of the Oslo Accords between the Palestine Liberation Organization (PLO) of the day and the Zionist state. It should be emphasized that the Palestinian economy before the catastrophe of 1948 was a productive agricultural economy. Prior to 1967, agriculture accounted for 69% of economic activity. So the current economic system is getting further and further removed from the traditional productive basis of Palestine and tending towards an economy whose only horizon is to promote the culture of consumption. While we defend the freedom of our political prisoners in the Zionist jails and detention centres, as prisoners who were detained while defending the freedom of the earth and human beings, we reject the political detention used by the governments against social movement activists who are working for human dignity. We work together with all oppressed peoples, classes, and groups suffering from the persecution and political repression wielded by capitalist governments, as is occurring today with the social movement in Colombia. This movement is subjected to security actions and arrests of its activists, as well as the exposure of peasants to confiscation of their land by the government on behalf of multinational corporations. Joint campaigns are being waged against militarization, particularly in the context of the international BDS (boycott, divestment, and sanctions) campaign against Israel. In fact, the peoples of both countries are similarly affected by the use of military arsenals against them, making this equipment more attractive on world markets. Iconic examples include that of the paramilitary Carlos Castaño, who wrote in his autobiography about being trained in Israel, where he learned the art of regular and irregular warfare and obtained weapons for the war in Colombia. Our organizations have also opposed the signing of a trade agreement between Colombia and Israel, particularly because of its impact on the peasantry in both Colombia and Palestine. The farmers’ organizations of both countries are working hand in hand with Via Campesina. This relationship between the struggles of Colombia and Palestine has even older roots. The revolutionary Antoine Daud reminds us of another type of relationship. He was born in Bogotá, the capital of Colombia, in 1909, of Palestinian origin (his ancestors were from Bethlehem). He was responsible for the bombing of the Jewish Agency building associated with the Zionist movement in 1948 in Jerusalem. His work in Palestine was not done; he was planning a large operation in August 1969, but died a few days before it could be put into effect. How do you define internationalism? The common struggle among all peoples is a prelude to the achievement of democracy, freedom, and social justice for all the world’s peoples, wherever they live. It involves raising our voices against the oppression, repression, and political arrest of student and peasant leaders fighting for their rights. Once again, I have confidence in the inevitability of the victory of all oppressed peoples. Let’s not restrict ourselves; let’s reach for the sky. In the era of the globalization of repression, the struggle must be globalized. For me, internationalism is the feeling that I was fighting for the Palestinian cause while I was participating in the Colombian struggle.